A schedule-based motion only recording will continually analyze video while the schedule is valid, but will only record video when motion is detected. 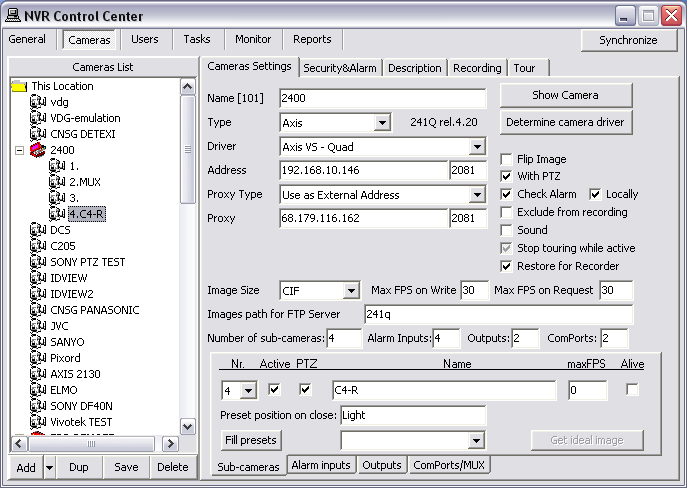 This method of recording maximizes storage space for cameras monitoring low traffic areas. Continue to Setup Recording Schedule. Enter FPS — the number of frames per second that will be archived. A higher FPS means more fluid motion, and larger file size (3 on the sample). Enter Compression % which will be applied to the video before it is archived. A lower compression percentage means better image quality, and larger file size (20 on the sample). Continue to Setup Motion Only. 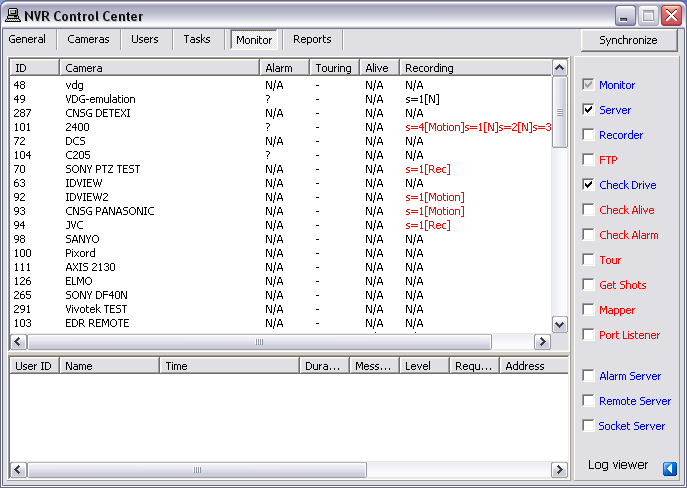 To configure motion only recording under the Motion tab Motion only checkbox should be checked. 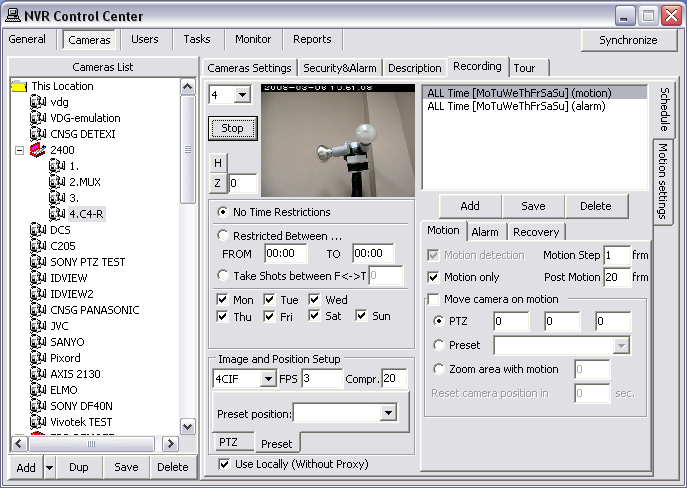 Set Post Motion — number of frames to be recorded after the last motion was detected.